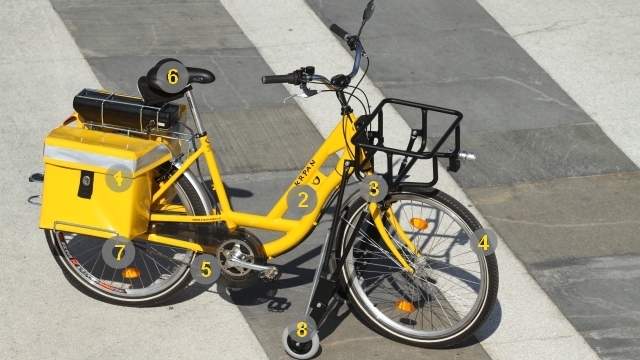 The total weight (bicycle + rider + load) can reach 200 kg. 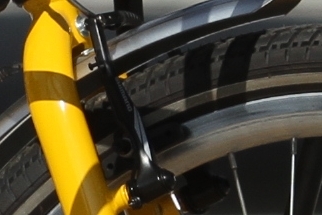 That is why three brakes are used: the front and rear V-brake plus the rear coaster brake. Front brake also feature special “hand brake” function, that is used when the bicycles is left alone on the addition wheels.